Topic: Blog: What are the Differences between Work Package and Pl..
Blog: What are the Differences between Work Package and Pl..
What are the Differences between Work Package and Planning Package? What is a project and why we need projects. What is the difference between Projects and operations? Introduction to Project Management- A Detailed Perspective! Topic: Blog: Requirement Traceability Matrix (RTM) – What Is RTM ..
Blog: Requirement Traceability Matrix (RTM) – What Is RTM ..
What is RTM and why is it important to create RTM in projects. What purpose is solved by the RTM in the projects? Requirement Traceability Matrix (RTM) – What Is RTM And Why Do We Need It? What is project charter and what are the contents of project charter? What is continengency reserve, Management reserve. What is difference between continengency reserve and Management reserve? Read this blog by Indu Sharma to have an insight into Integrated Change Control. The blog explains - What is a Change Request, reasons for a change request, WHY formal change management process is required, and the sequence of a Change Request. Topic: Blog: What Are Stakeholders – How To Identify Them? Blog: What Are Stakeholders – How To Identify Them? If we miss identifying the stakeholders we miss capturing their needs too, while collecting requirement. Read this blog by Saket Bansal to know who are stakeholders? How and when to identify stakeholders? What Are Stakeholders – How To Identify Them? It is a very common scenario when a Project manager thinks - Whether to use Contingency or Management Reserve? Read this blog to eliminate the ambiguity between the two. Topic: I PASSED "PMP" EXAM TODAY. Re: I PASSED "PMP" EXAM TODAY. Topic: Question of the day! If we need to expand PV (planned value), which of the following is the correct representation of it ? Post your queries under this thread to be resoved in the webinar. Negative risks are commonly referred to as threats. The Four basic strategies to deal with negative risks or threats are Avoid, Transfer, Mitigate and Accept. Positive Risk Response, generally referred to as opportunities tend to save cost and other resources of the project. As a PMP aspirant, everyone has the curiosity about ‘4500 hours of work experience’. Read this bog by our Lead Trainer Saket Bansal about how to fill the experience details in PMP application form. New to the world Project Management? Know the basics of Project Management by reading this blog by our Lead Trainer Saket Bansal. Topic: Blog: Requirement Tracability Matrix - Why do we need it? Blog: Requirement Tracability Matrix - Why do we need it? Topic: Blog: What are the 7 Lean Software Development Principles? Blog: What are the 7 Lean Software Development Principles? Post your queries under this thread for the hangout on 14th march. 21 Contact Hours PMI-ACP® Agile Certification Program, Hyderabad 2 Days Weekend Classroom Training Program Sat-Sun, Mar 22-23, 2014 PMI-ACP® Agile Training, Hyderabad , Further Details http://goo.gl/8kygXK Not just 2 days PMI® ACP Training, we support you all the way till you get the Certification. Not just 2 days PMI® ACP Training, we support you all the way till you get the Certification. Please post your queries under this thread. Please post your queries to be discussed in the hangout in this thread. Topic: How do you give PDU Certificates to NRIs? Re: How do you give PDU Certificates to NRIs? We have good customer based in US, we send the scanned copy of certificate which is good enough for PMI . We are PMI-REP and our certificates are pre approved for 35 Contact Hours / PDUs. Topic: When is the best time to measure EVM in Agile projects? When is the best time to measure EVM in Agile projects? Topic: How to obtain the PMP Certificate? 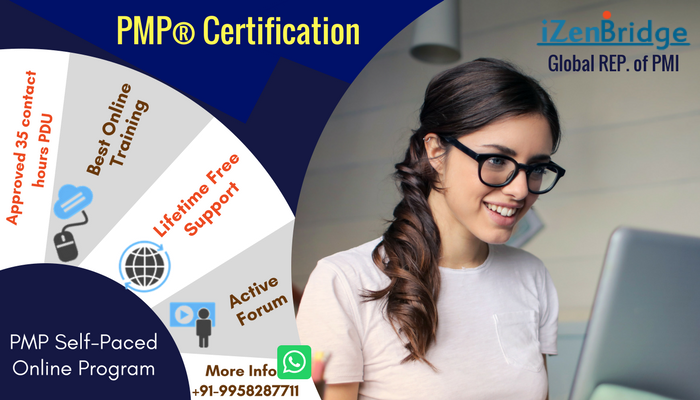 Re: How to obtain the PMP Certificate? Which of the following defines the splitting of a story or a feature into smaller, easier-to-estimate pieces - Decomposition or Dis-aggregation?